Cloud Database provides full access to use the database for your website hosted on a Cloud Server. Advantages are pay as you go model and scalability. Previously we published an article on What is Cloud Database and How it Works. As the title suggests, in this article we will we will discuss about the practical aspect of Cloud Database. There are two models o Cloud Database from software based model – SQL and NoSQL. SQL is typically used by CMS like softwares. We are giving a very simple example of how Cloud Database can be used to leverage the website using the power of Cloud Computing. We are using WordPress as CMS and WordPress saves all data on MySQL storage. 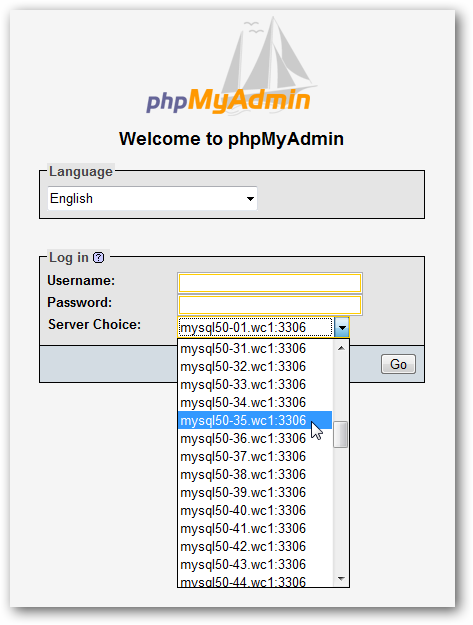 We are using MySQL of a different Cloud Server from Rackspace – that is actually a Cloud Database running PHPMyAdmin. So basically our FTP contents are on different Cloud Server and MySQL is on a different set of servers. This is how a Cloud Database is actually reducing the load of FTP content server. Furthermore, the static FTP contents are served from CDN. As we are using this Cloud Database internally, we use a specific URL. But it is possible to use this Cloud Database with content on a different server – even a shared traditional server using the IP address. What usually people does – in typical WordPress installation, in MySQL hostname, in the line define(‘DB_HOST’, uses localhost – simply because the MySQL is on the same server. For a Cloud Database like this, the specific URL or IP needs to be defined. Quite obviously this Cloud Database system actually enables to use other technologies for database while the FTP server is actually a Linux server. Second is Cloud Database inherently more stable, scalable and Cloud Database can be delivered by the vendor in a pay as you go model. The more icing is – if one Cloud Database is hacked simply connecting the FTP to another Cloud Database (which was a backup) solves all the problems. As we have said at the beginning, Cloud Database can be of SQL and NoSQL main models. Among SQL Data Model of Cloud Database, the example of MySQL, MS SQL, Oracle Database, IBM DB2 etc falls. Among NoSQL Data Model of Cloud Database; CouchDB, MongoDB etc belongs. The main commercial vendors of Cloud Database service Amazon, Rackspace, Google App Engine Datastore, SalesForce and various others provides the end service to the consumer. This Article Has Been Shared 323 Times! Cite this article as: Abhishek Ghosh, "Cloud Database : Examples and Usage," in The Customize Windows, March 25, 2012, April 18, 2019, https://thecustomizewindows.com/2012/03/cloud-database-examples-and-usage/.